Congratulations! You’ve been selected from a talented pool of candidates for your first promotional modeling gig! You’re probably excited to start earning and furthering yourself as a promotional model. This is an industry thick with competition, so a successfully executed job is more than just being a pretty face. 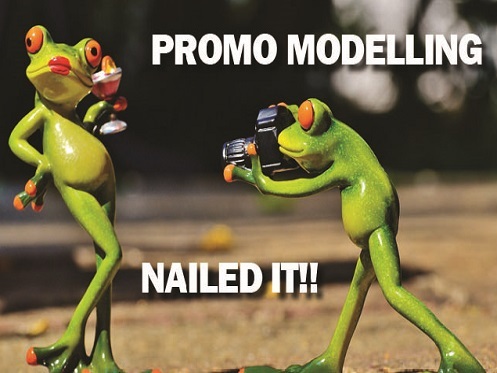 Here are some tips to help you make a good impression and boost your promotional modeling future. 1. Read the handbook, then read it again. Every agency will provide you with a handbook. Yes, you’re talented, gorgeous, confident, intelligent and outgoing; but it’s important to be fully aware of exactly what expectations your agency has, so you can get to work exceeding them and secure your spot on the ‘highly recommended’ list. You will be provided with a brief, but its good practice to go the extra mile. You will be nervous on the day, that’s natural. To help you feel confident and prepared, conduct some research on the company and write a list of questions to ask. You may have consumers asking you questions during the event, so arm yourself with as much knowledge as possible to demonstrate your professionalism. Present well. Looks go a long way in your job success as a promotional model. The client has chosen you from your modeling pictures, so make sure you emulate that look. No dying your hair purple or getting a million piercings. Even going from brunette to blonde could be a problem for the client, so it’s important to advise the agency if you’ve had any noticeable changes in your appearance. The client may provide a uniform; but even if they do, arrive in clean, neat, pressed clothes as though you’re wearing them throughout the day. This makes a great impression and shows you take the job seriously. 4. Look after yourself. Sleep and eat well. Take care of yourself the night before, so you’re bright, energetic and attentive. Being your first gig, you may be surprised at how exhausting it is being on your feet all day and maintaining a sunny disposition. Eat well and stay hydrated. If you’ve been out partying the night before, it will show and reflect poorly on yourself and the agency. Follow up with the agency after the event, they will appreciate it. Taking photos (where appropriate) and sharing them with the agency is also a nice touch. Most of all, have fun. If you’re enjoying yourself and are confident, prepared, look your best and represent the brand well, others will enjoy being around you and you’ll be remembered. Good luck, we hope you wow your agency and their clients. You never know where this exciting career may take you.